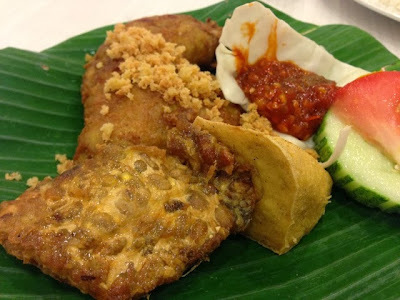 Ayam Penyet (smashed chicken) is an Indonesian cuisine. There are many food outlets that sell Ayam Penyet. You may find them at Far East Plaza and Lucky Plaza along the famous shopping belt of Orchard Road. 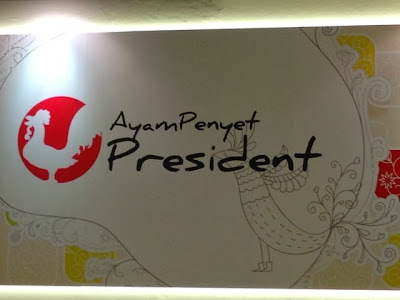 Today, I had a strong craving for Ayam Penyet President and found that there is a restaurant near my location. The restaurant layout made it looked like a fast food outlet. You will be first greeted by a counter where you can first make a food order and take a seat or vice versa. At a corner, there was a hot pot with soup where customers can pour themselves a bowl of free soup (broth). The overall dining experience was a little disappointing because of the food. 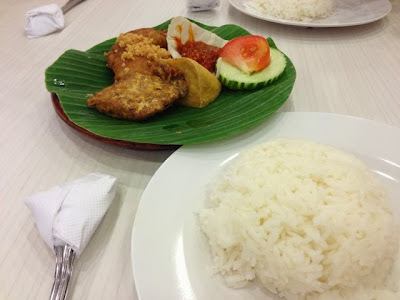 We spent around $30 for three persons.